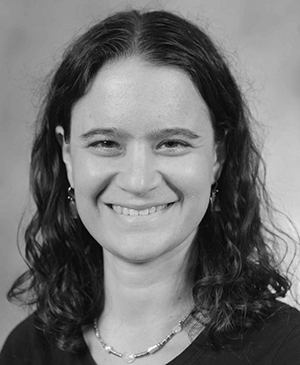 Dr. Rachel Schwartz is an Assistant Research Scientist at the Biodesign Institute at Arizona State University. Her research focuses on developing computational methods to use genomic data to understand evolutionary history; she also applies these methods to study groups ranging from pathogens to vertebrates. She has developed easy-to-use, open-source software (SISRS: Site Identification from Short Read Sequences) that rapidly identifies conserved homologous data from high-throughput sequencing; analysis of these data produces accurate phylogenies and estimates of divergence times. She is currently working on methods to improve ortholog identification, to accurately call genotypes from raw data, and to automatically identify useful phylogenetic markers. Dr. Schwartz’s work has been published in peer-reviewed journals and is currently funded by the National Science Foundation. She also serves as an instructor for Software Carpentry, teaching computational skills to researchers in all areas of science.